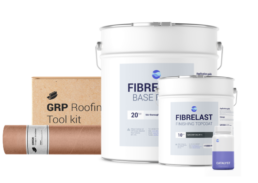 Get everything you need for your next GRP roofing project delivered direct to your door. Along with the roofing systems, we supply a complete range of trims and tools. Looking to get a GRP fibreglass roof installed? 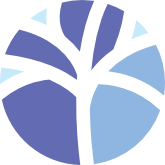 Request a free site survey and no obligation quotation from our network of trained and approved installers. Spend over £300 and get free standard delivery on your order. Take one of our industry leading training courses and learn how to apply our advanced GRP fibreglass roofing systems. Found prices cheaper elsewhere? let us know and we'll do our best to beat the prices. Don't know where to start? 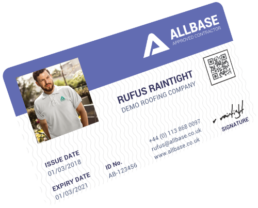 check out our impartial GRP roofing buyers guide to help you choose the right products and installers. 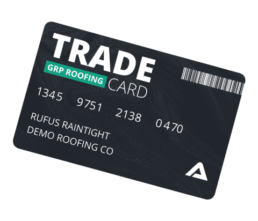 Get your free GRP roofing trade card and start saving today.